A few weeks ago I bought some peaches at my local market. I was pondering what to make with them, and I almost pondered too long! 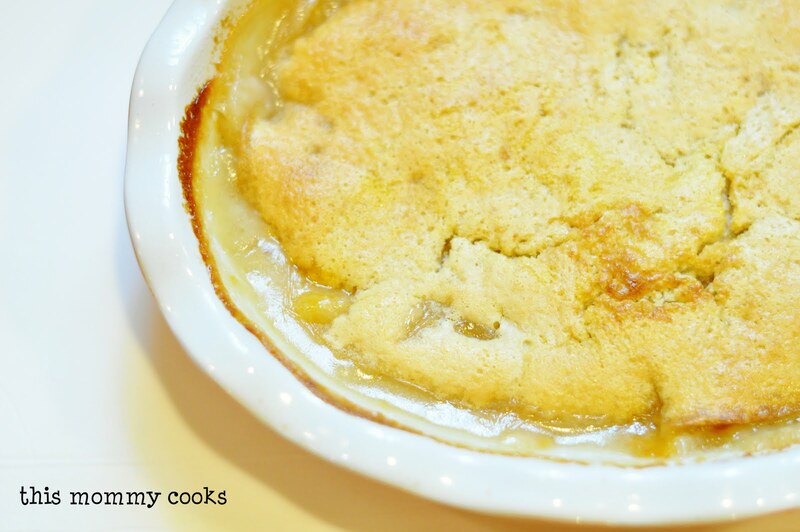 I finally got around to using those peaches, and I decided to make a peach cobbler. It just sounds yummy doesn't it? Well this one is easy, and delicious! Combine the peaches, 3/4 cup sugar, and water in a saucepan and mix well. Bring to a boil and simmer for 10 minutes. Remove from the heat. Put the butter in a baking dish (I used a 2 quart dish) and place in oven to melt. Mix remaining 1/4 cup sugar, flour, and milk slowly to prevent clumping. Pour mixture over melted butter. Do not stir. Spoon fruit on top, gently pouring in syrup. Sprinkle top with ground cinnamon, if using. Batter will rise to top during baking. Bake for 30 to 45 minutes. Peach cobbler is the best and yours looks perfect! Yum!